Are you moving away from using numerical targets and crude outputs to manage your performance? Have you started using outcome measures instead? Does this feel like the right thing to do? Measuring the results of your work and understanding its impact on the people you serve is surely a no brainer. Arguing otherwise would be as preposterous as saying that kittens are evil. Spending public or charity money, it’s vital to demonstrate the worth of every penny to commissioners, funders and politicians. It’s not an exact science, but measuring outcomes is a good start. Isn’t it? Or, is the focus on outcomes bad? Heretic Toby Lowe thinks so. In this session, Toby Lowe, visiting Fellow at Newcastle University Business School, will argue that the use of outcomes as a concept to measure the effectiveness of social policy interventions is inherently flawed and creates unwelcome paradoxes. Instead of improving the lives of service users, his evidence suggests that focusing on outcomes distorts both the priorities and practice of organisations, leading to poorer results for those most in need. So, if not outcomes, what should we measure instead? In the second part of the session, Dr Rob Wilson, Senior Lecturer at Newcastle University Business School, will help us to reconsider what we might measure instead of outcomes to improve what we do. Toby Lowe is Chief Executive of Helix Arts, a Participatory Arts organisation which works with the most disadvantaged and marginalised people in society. Prior to Helix Arts, he worked for Arts Council England, and the Social Exclusion Unit in the Office of the Deputy Prime Minister. He has a background in political philosophy, particularly the way in which “community” is used a concept in politics. Toby is also a Visiting Fellow at Newcastle University Business School, undertaking research into the use of outcomes as a framework to measure the impact of social policy interventions. Sign up here. Find out who else has signed up here. We’re pleased to announce that we’ve joined together with Newcastle University Business School and Newcastle Council for Voluntary Service to put on this session. Refreshments will be available from 9.30am but there’s no lunch on this occasion. 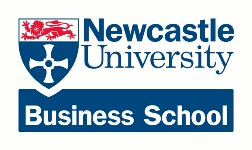 The event is FREE to everyone who would like to come, thanks to sponsorship from friends at Newcastle University Business School. It would be great to see you there.